Blaze wins his Futurity Class at the National! 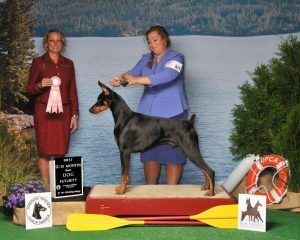 Thank you Judge Amy Tourand and Handler Carissa Shimpeno for presenting and recognizing Blaze’s soundness and beauty. 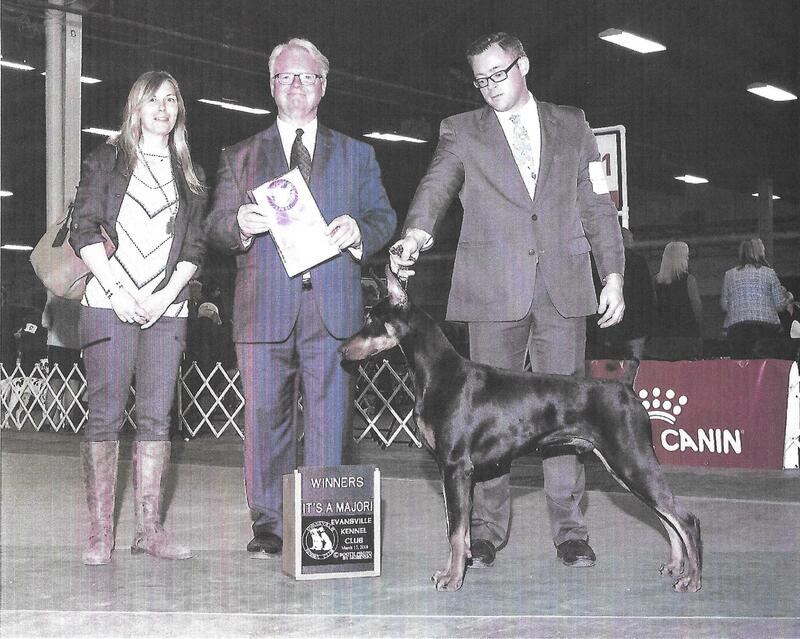 Blaze is pictured winning a 4 point Major with Judge William Shelton, his handler Derek Beatty and Owner Lacey Huguelet . 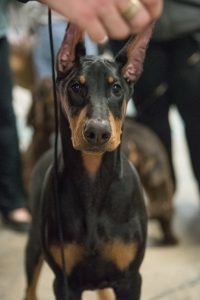 Blaze went on to win his second Major and Best Puppy from the 6-9 month puppy class under Judge Ellen Fetter the following day. Many thanks to both of these well respected judges for awarding Blaze these Major Wins! 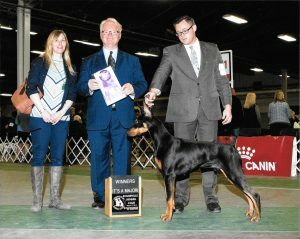 Thank you Derek and Lacey and Brett for working so hard to make our special boy shine and LOVE doing his job in the ring.